Despite the rain, many attended the “Abraham Lincoln In Song” program at President Lincoln’s Cottage on June 5th. 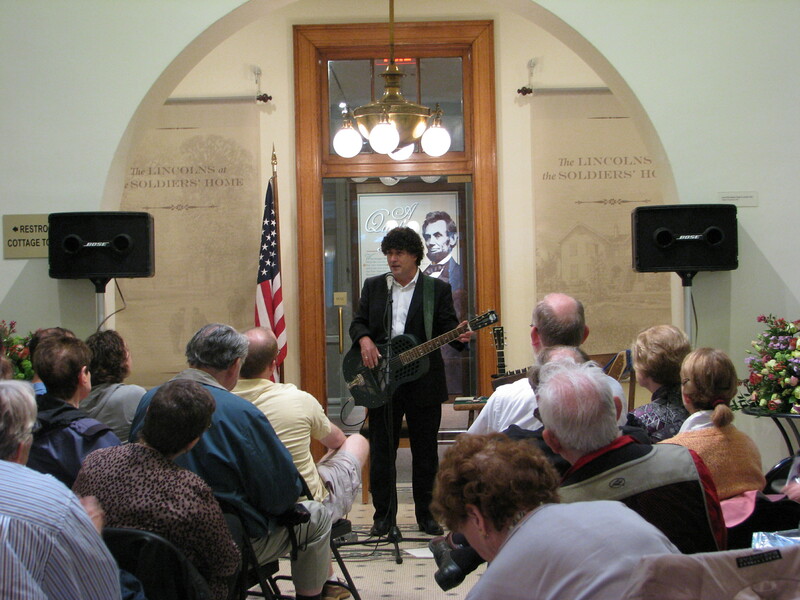 Chris Vallillo performed period music and told stories to bring to life Lincoln’s life from his early years to his life in Washington as president. This public program was the first of it’s kind at the Cottage. Look for updates on upcoming public programs this summer on our blog and website, www.lincolncottage.org. Thanks to all those who came. We hope you had a good time! Ms. Mitchell is the Development Coordinator at President Lincoln’s Cottage.